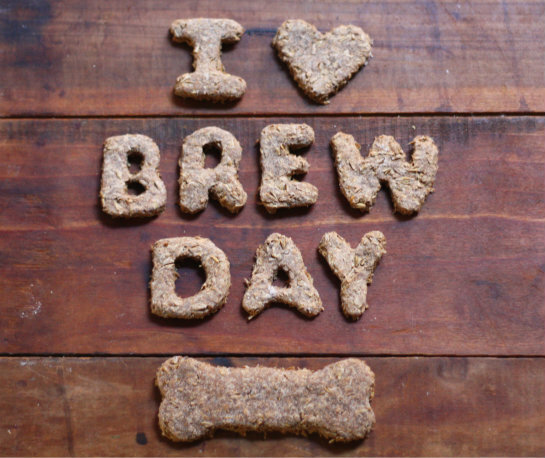 Basil appreciates a good brew day just as much as we do, but for his own selfish reasons — he knows he's going to get some fresh dog cookies made with the leftover spent grains from the brew! 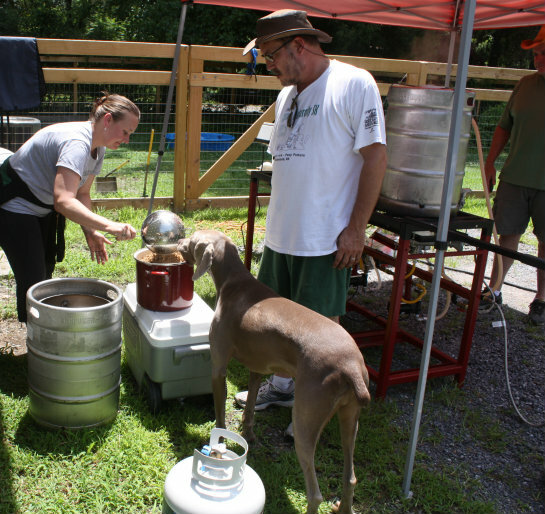 You might remember we recently stopped by our friends' house (Clay and Corrina of 2 Noble Dog Brewing) during brew day and took Basil along for the fun. 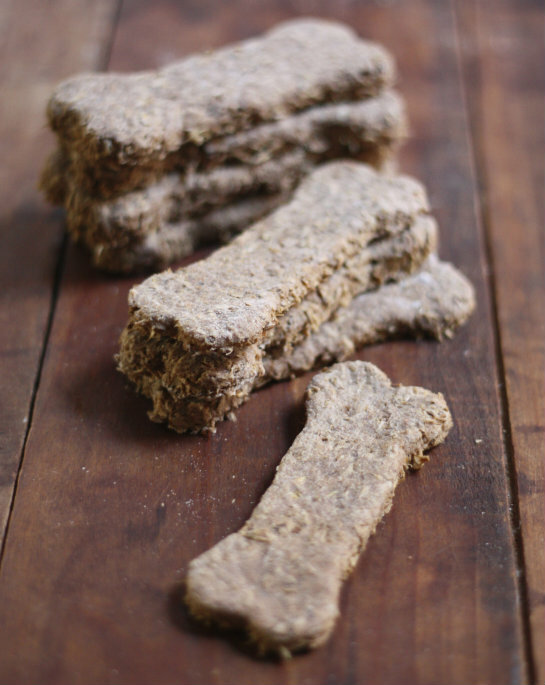 They were so nice to send us home with two heaping containers full of spent grains from the brew to work with and we ended up making a mega batch of dog treats with them that Basil absolutely loved, so today we're sharing the recipe for them along with a few tips for working with spent grains. First a little background — Clay of 2 Noble Dogs Brewing is a good friend of mine from back in high school and has been home brewing for years now. He's built his brewing setup from scratch and even makes his own mash paddles — the guy is pretty amazing. 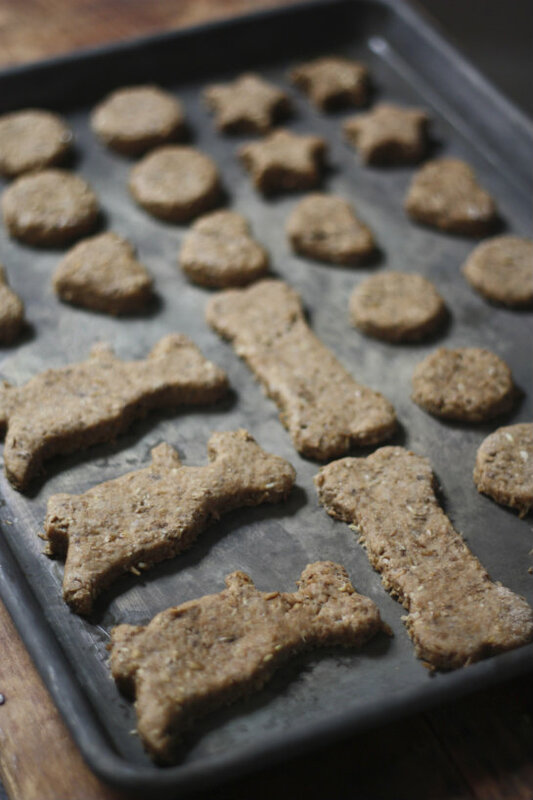 Corrina had a tried and true dog treat recipe on hand that uses spent grains as the main ingredient and passed it along for us to use as a reference — you can tell they probably go through a lot of dog cookies in this house! 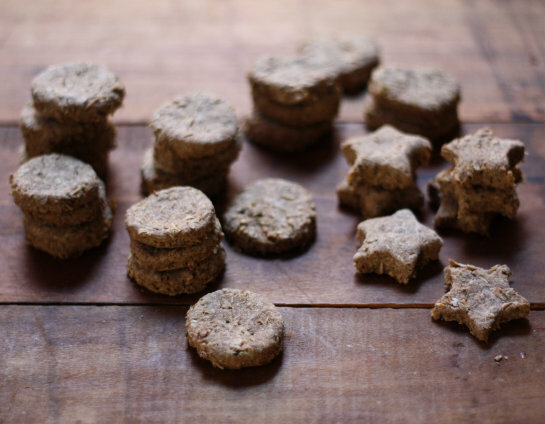 We've been wanting to try our hands at making spent grain dog treats ever since our good friends, Emily & J, sent a jar of them with us for Basil on our honeymoon. He said there are lots of new recipes popping up as ways to re-use the spent grains, but that it also makes good compost for the garden if they end up with too much. 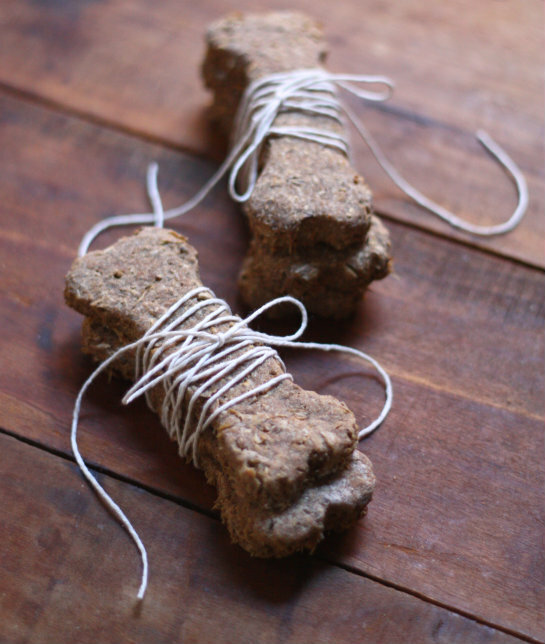 They've made all sorts of things from bread, to pizza dough and of course, dog treats. Corrina explained that it's best to use the spent grains right away or within the first few days after brewing, otherwise they will go bad. 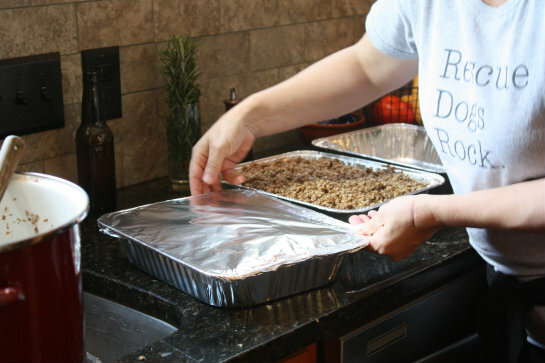 She did tell us you can freeze them in portion sized bags for storing and later use, and that there are even ways to dry and grind down the grains into a flour for storing and use later too. 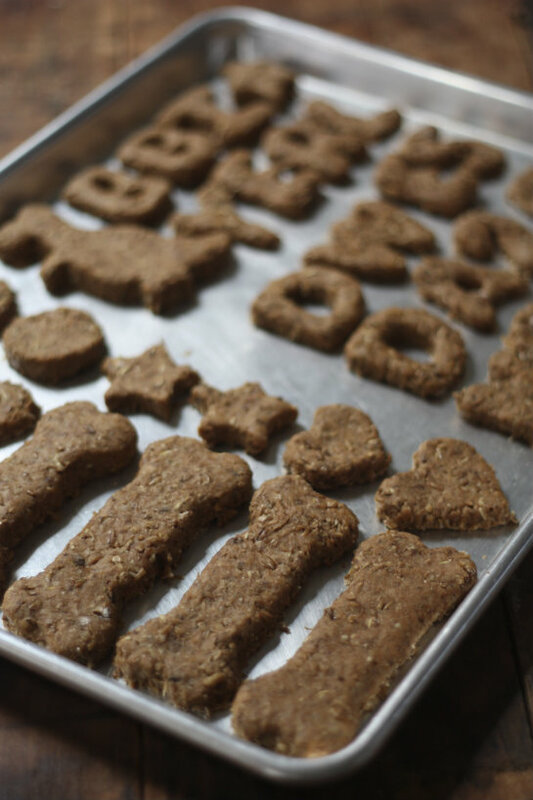 We took the recipe she gave us for the dog treats, doubled it and modified only a few things, like swapping in whole wheat flour for white and adding more as needed. 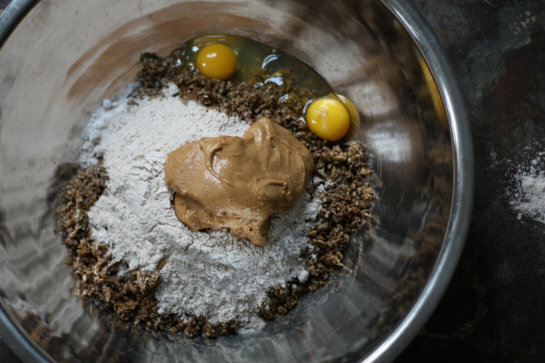 The ingredients here seem pretty flexible, if you wanted to swap in brown rice flour, or add flax seeds or other mix-ins, for example. We'd love to try different versions down the road now that we've tackled this first basic batch with success! Roll out the dough on a generously floured surface and cut out shapes with cookie cutters, lining them up on baking sheets. No greasing was necessary for the baking sheets. If you don't have cookie cutters or want a more natural shape you can cut the dough with a knife, or use spoons to create drop cookies. 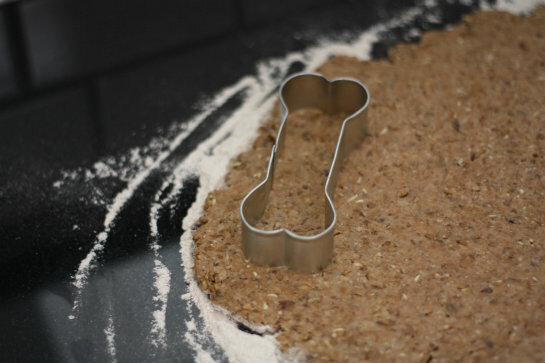 We used this as a fun excuse to pull out our jumbo box of cookie cutters. We're pretty sure Basil prefers his cookies in shapes too. When using the cookie cutters, we did find it was hard to get a completely clean cut through the spent grains, so expect some edges to look rough and rustic — once you get the basic shape, you can kind of push the rough edges in and under to get a cleaner looking line if you want. The dried cookies will keep for 2 weeks in an airtight container and even longer if you freeze them in zipper bags. We freeze ours and give them to Basil straight from the freezer bag as a cool treat during the summer. 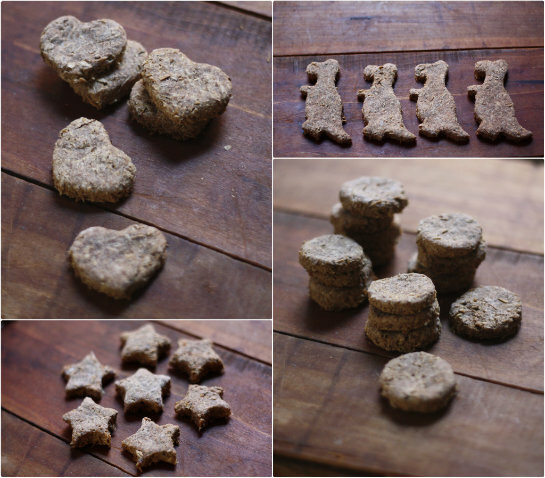 These are fun to make in big batches, make great gifts for friends with dogs, and in our experience are a big hit with our big guy, Basil! 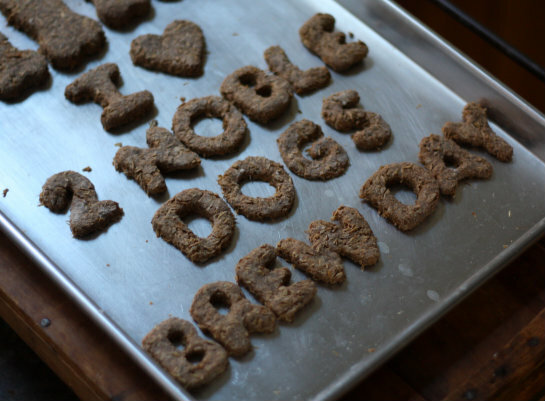 Have you made dog treats or other recipes with spent beer grains? We'd love to know what's worked for you and what we should be trying next! After a brew day, we usually try and compost our spent grain and the dogs go after it like mad! So thanks for the great recipe, we are excited to try it, I'm sure the pups will love it too. Can't wait to hear how it turns out! Thanks for taking a look! Thanks for the post! Cant wait to try this! This is totally awesome!!!! I have to say it's very eery how you went to brew day the same weekend we bottled :) Can't wait to try the recipe! That is great Angie what style of beer do you guys usually brew? Thanks for the recipe! 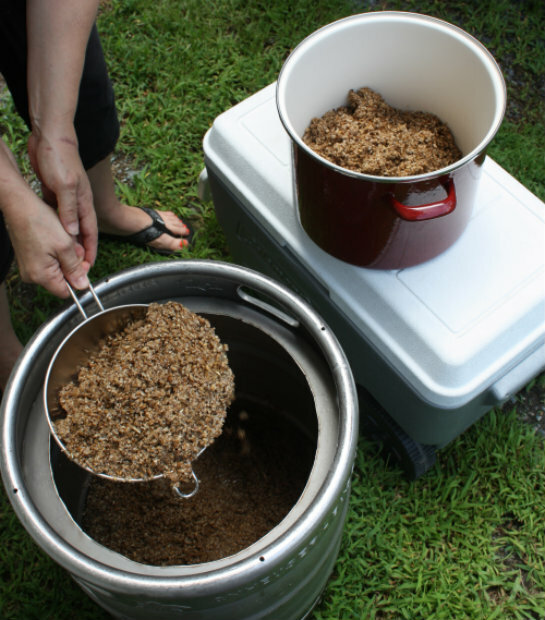 Brewed our very first homebrew this weekend and used this recipe for the spent grain. I had to add some water and play with the baking time because I dried my grain before using, (and I think you used yours still "wet"?) but it turned out great. Our Chocolate Lab Beau loved them! I will definitely be using this recipe again and again! Thanks for taking a look and trying this. So happy it worked out and that Beau loved them! Woof from our weim Basil! Leah, what a great gift idea for the holidays! Let us know how they turn out! Thanks and yes Basil steals the show most of the time! Good luck with your spent grain treats! How well do salmon biscuits keep? Is fish spoilage an issue? Thank you for sharing. My dogs love these. Just made them this morning. 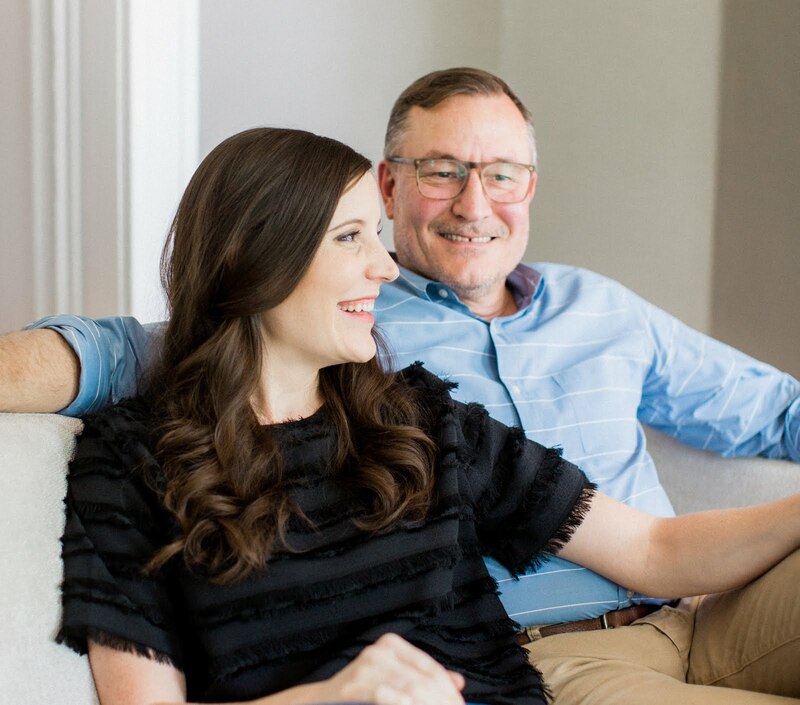 So happy to hear Bill! Yes as with anything new to a dogs diet we certainly would recommend a small amount at first just to see of there is any reactions. Some dogs do react differently to different kinds of food in their diet. Hi. I'd love to try this, but I don't have friends that make beer! maybe the Budweiser factory in my city will donate some if I ask nicely! haha! But what I wanted to ask you is if there is any specific health benefit to using the grains. Do they have any additional nutritional value? 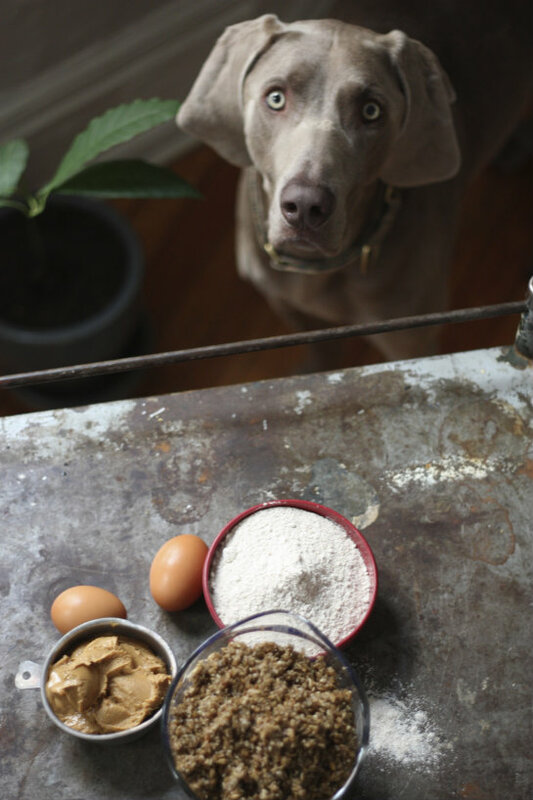 I'm really trying to bake using more traditional, healthful methods, for my family AND my dog. Thanks! Hi Jeanie, we certainly are not nutritional experts. With that said if you read through the comments there is a back and forth debate on whether or not spent grains are even good for dogs. We have friends that brew and we wanted to give it a try. The treats were easy and fit in with our motto of minimizing waste. Normally the spent grains would get tossed out or hopefully be composted. Our dog loved them and we gave them to him in moderation with no issues! 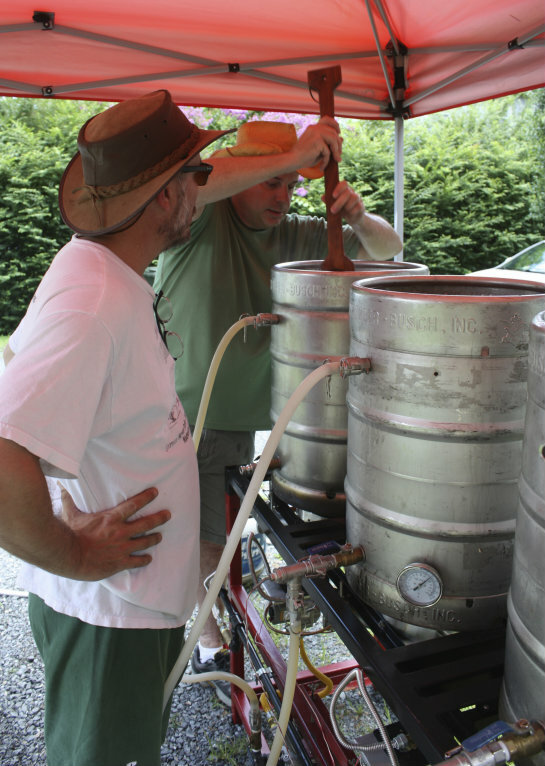 You might search your area for a local home brew club and get in touch with them for spent grains. Good Luck and thanks for stopping by! 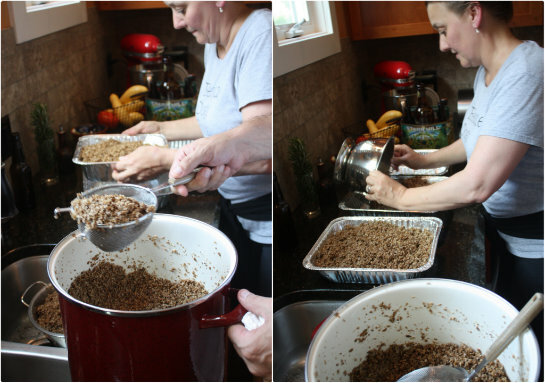 brew day was yesterday at our house and today was a snow day so I made your recipe - hellz yeah! our dogs LOVE them. 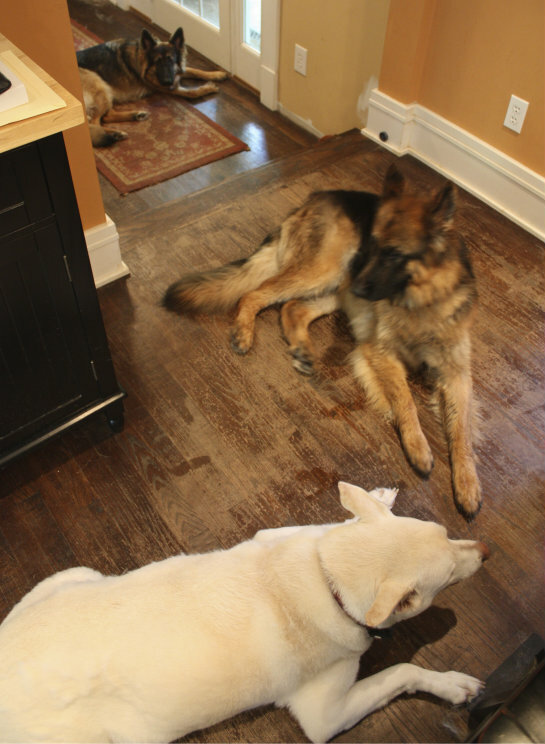 the real test is charley who is quite discerning....he took his and ran onto the dog bed so he could eat in privacy. even zoe slowed down to chew! this will be a new ritual for us. thanks for the great and healthy recipe! also a note to others: we grind our own like many others and there's nothing in there that can get the dogs sick.....the hops are typically added after the mash (which makes the wort) - after the mash is taken out, the hops are added. Thanks for the great write up and awesome instructions! I have been living and brewing in my condo for a couple years and unfortunately don't have the the option for composing my spent grain. Dog treats have been by far my best option. Couple cool additions for any all grain brewers, where 4 cups barely make a small dent in your remaining spent grains. Often I do not have the time to make treats even a day or two after brewing. Therefore I dehydrate my spent grains and package them for storage. It very easy, spread the grain in a thin layer onto several cookie sheets and pop in the oven @ 225 for +2 hr or until fully dried. 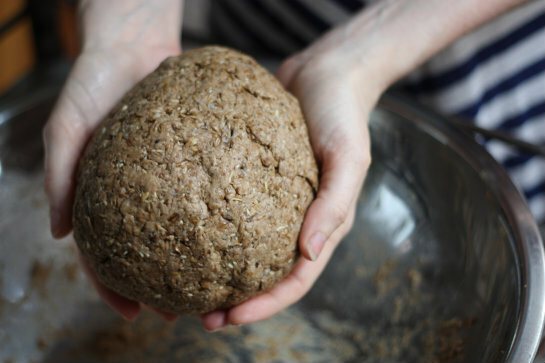 Then before baking the dog treats, it's best to rehydrate the grain that the treat are a bit softer in order to break into small pieces (that is if you have a smaller doggie), else don't worry. Put the grains (4 cups) in the bowl, covered with water for 15 min. Now that the grains are dehydrated, you also have the option to mill your spent grains into flour and use this flour in place to store bought flours. Very easy to do if you have a magic bullet or ninja. Enjoy your spent grain dog treats. I know Mukashi does! I did this with a cup and a half of shredded cheese instead of the peanut butter. My dog seems to love them. Did these last week as written and they turned out sooo well! I want to make people crackers with the same recipe + salt and hot peppers. Thanks for the recipe. Just brewed yesterday and needed this for Ruby, the family brew dog. We are trying this right now but substituted applesauce for the peanut butter, since we have a dog that won't eat it. Can't wait to see how our little monsters like them. Since I know what's in them, I will try a few also. I add shredded carrots to mine to make them more healthy and my Rotty loves them! Has anyone tried adding meats? Maybe adding some liverwurst to make liver snaps? I like to add glucosomine powder and coconut oil. Every dog I've given this to goes crazy for it. Plus it helps with their joints. I keep the grains in 2c bags in my freezer and thaw out when ready to use. Good thing the husband bought a deep freeze, as all my friends give me their grain on brew day. 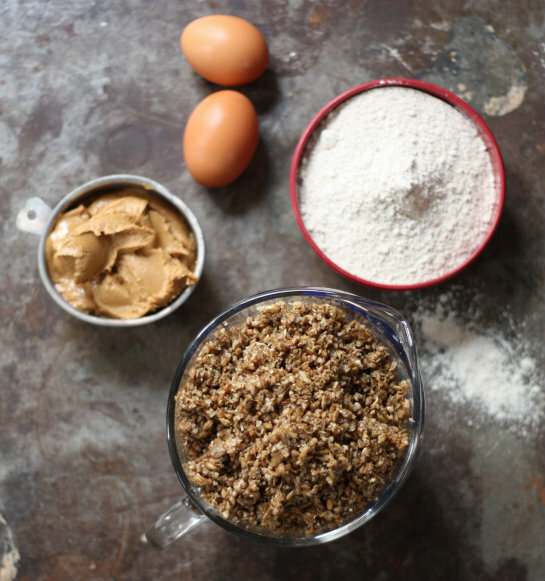 Would love more recipes than the one I always see with spent grain, flour, eggs and peanut butter. That's only one I can find anywhere. Just made this from my home brew spent grain after my Westie had a spent grain doggie treat from the Glede Brewery in Clevedon, England. 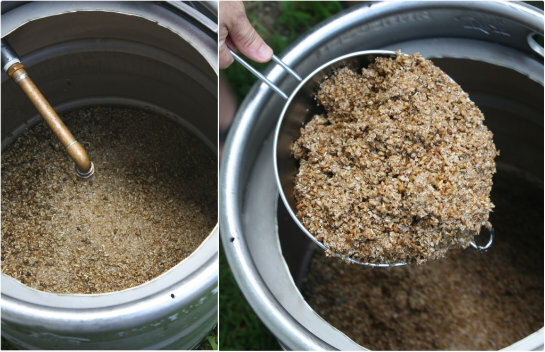 The spent grain will contain some protein from the rootlet and germ as these are not converted to sugars during the mashing process.